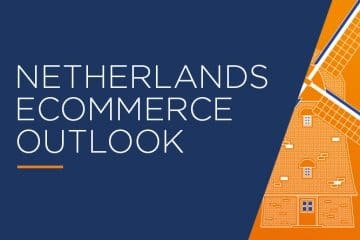 With international trade acknowledged as an ingrained part of its culture, it is no surprise that the Dutch market is currently ranked 7th in Europe after its ecommerce revenues surpassed the £13 billion mark in 2015. Renowned for its open outlook regarding global activity, the country offers countless business opportunities for online retailers. Today we are diving into the Dutch ecommerce market to find out what makes the country tick. Despite having a population (16.9 million) that equates to roughly a quarter of the British, the Netherlands has Europe’s highest access rate at an impressive 98% reach (the UK has 93%). With a tech savvy culture, the Dutch are generally fully fledged digital natives with an appetite for new technologies. The government strives for technological advances, going as far as requesting that 69% of administration forms be submitted in digital formats. Technology even plays a part in reshaping education there, with new digital learning and teaching methods being implemented in schools. The Dutch are therefore naturally inclined to use the internet to fulfill their shopping needs and desires. In 2015, 13 million people in the Netherlands (90% of the population) made online purchases through commercial sites, the average annual online spend per buyer being just over £1,080. Opportunities don’t stop there! Dutch consumers are increasingly taking advantage of the advances in smartphones and tablets, turning to these devices to connect with retailers and make online orders. 59% of mobile traffic comes from tablets and the mcommerce turnover for 2015 exceeded £2 billion. From it’s neighbour, Germany, to across the pond, the Dutch population are eager to buy products from foreign sites. The Netherlands boasts a global vision and outlook which benefits retailers in England, China and France amongst other countries. In 2016, nearly 30% of the Dutch population bought products from international sites. With an opportunist attitude, the average Dutch consumer has a thirst for deals and promotions although product prices are not the only determining factor for purchases. Product quality remains a key consideration in purchases made by Dutch consumers, whilst other elements play a role in executing consumer satisfaction. The clarity and reliability of information, the degree of detail used in product descriptions, the use of uncomplicated return policies, excellent quality product photos and trust marks demonstrating the reliability of a site are amongst the top priorities for Dutch consumers. Just as in the UK, the most popular categories for the average Dutch online shopper are clothing, electronics, gadgets and books. Services account for two-thirds of online purchases, for example when it comes to sales, travel, hotel reservations, ticket sales and insurance policies are dominating industries that fall within the “Services” bracket. More than 50% of online shoppers in the Netherlands bought at least one of these products in the last 12 months. As a seller on the Dutch market, you need to put your buyers at ease and give them reason to have confidence in your products. In the Netherlands, it is not uncommon to find trust marks on ecommerce sites. These labels act to guarantee and certify sites, allowing consumers to be confident in the services and products provided by a retailer. If you don’t know where to start, you can head over to Thuiswinkel Waarborg which is the most popular trust mark supported by consumer associations. Another unique feature in the Dutch market is the payment method used for online transactions. Almost 60% of online payments are made through the bank transfer system, iDEAL, a tool considered to be highly reliable by the Dutch population. In 2015 iDEAL registered a total of 917.5 million transactions, so you’ll be missing a trick if you exclude this payment method from your site! There is also a new payment method available for clothing sites: AfterPay, a post-payment system which allows consumers to pay for online purchases after receiving and trying their products. When it comes to the use of social networks, the Netherlands has the second largest access rate in Europe (second to Britain) with a 56% reach. The Dutch are avid users of social media, with Whatsapp being particularly popular. In fact, in January 2017, there were more than 10.9 million Dutch people using Whatsapp compared to the 10.4 million Facebook users. Whatsapp is often used in the ecommerce sector, particularly for customer service, expert advice etc. 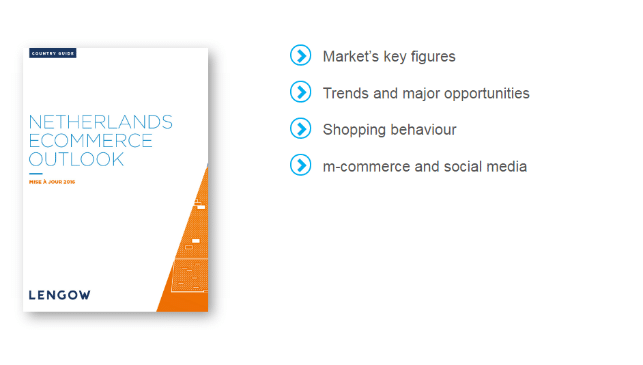 If you want to find out more about the ecommerce market in the Netherlands and around the world, you can download our country guides online! If you are already a client at Lengow and would like to distribute your product catalogue in the Netherlands, you can consult our Help Center. If you are not yet a client at Lengow request a demo !